We’re told that the banks have to pay big bonuses in order to retain and attract the right staff. We’re told that unless we shell out millions to these mysterious unnamed individuals, these “masters of the universe”, that we can kiss goodbye to the money we’ve already put in. We’ll be damaging our own investment. These people aren’t doctors or scientists or lawyers or architects – or even plumbers or electricians. They’re blaggers. Nothing more, nothing less. All they’re doing with these ridiculous claims is trying to blag us all over again. Their job is little different from that of an advertising salesman who sits on the phone all day and maybe makes £1000 or £2000 a week. In fact, many salesman have much wider knowledge, better people skills and sharper brains than these wide boys in the city that have nerve, greed and little else to offer. This is just an attempt to blackmail us. There are tens of thousands of bright, keen, hungry people out there who could do these bankers’ jobs with very little difficulty. In fact, fresh new blood that hasn’t been corrupted by the past would be a much better idea. We could recruit from the world of advertising, from market traders flogging fruit, vegetables, meat, fish and “knock off”. Why not just pick a few MBA graduates at random or take the top banking graduates from last year and give them the big jobs? None of these people could do any worse than the sharks who got us into this trouble in the first place. 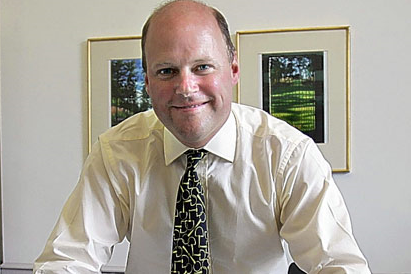 Those, like Stephen Hester of RBS, who have taken over recently are no better. They’re still infected with the same ways as before. After Chief Thief Goodwin has had his turn in the trough they’re just elbowing through for their own go. 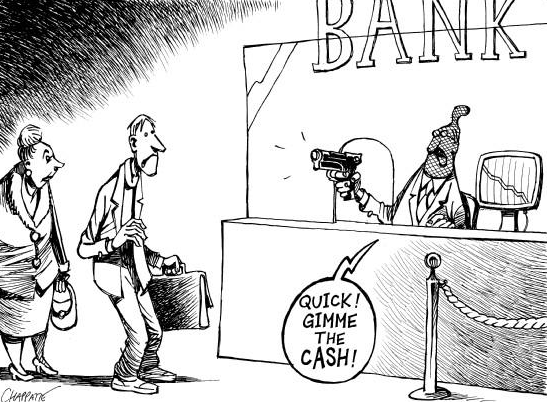 There is no special expertise or skill required to be a banker. Don’t let these charlatans and sons of charlatans tell you any different. Don’t wait for the RBS directors’ resignations. Sack them now for having the audacity to try and pull the wool over our eyes once again.